People with Diabetes often suffer from a condition called Diabetic Neuropathy and other associated problems such as nerve damage, issues with blood circulation, infections, etc. Decreased blood supply to the lower limb and nerve damage are the main causes of foot problems such as injuries, unhealed wounds, etc in a diabetic patient. Studies say that, if a person is suffering with diabetes for more than 10 years have a higher chance of suffering from a Diabetic Foot. 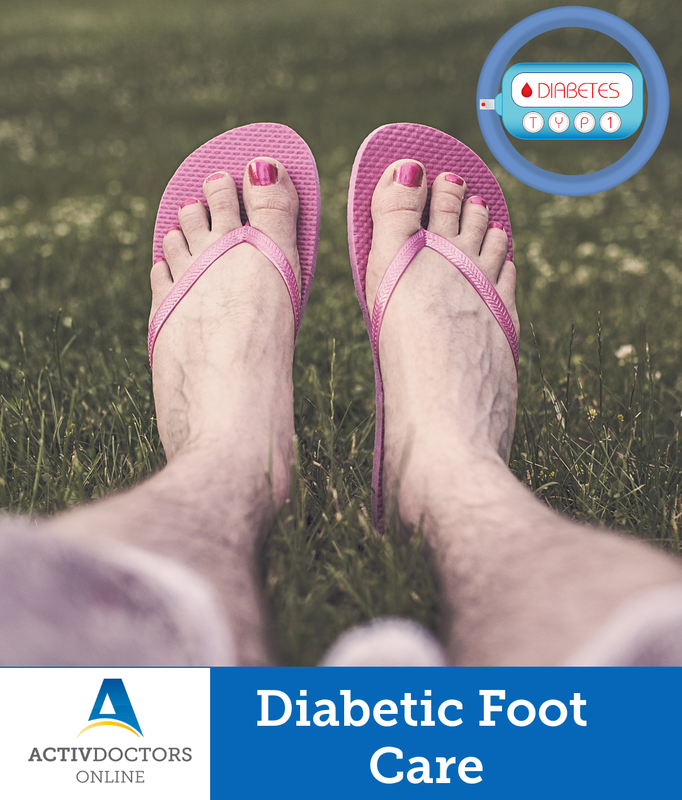 Most of the time, diabetics are unaware of foot injuries due to lack of sensation and their legs – which leads to untreated ulcers, sores with infections and in certain cases can lead situations causing leg/foot amputations. Get routine foot examinations – regularly examining the foot for injuries, etc can help prevent further damage by starting early treatment. Check for scratches, blisters, cuts or sores – and also for redness, tenderness or warmth in any particular area. In case of any blisters, clean the area gently without poking the blister and bandage it. Contact an expert in case any corns or calluses are observed. Gently massage legs and feet to improve blood circulation. Wear soft fitted MCR or Diabetic Footwear instead of regular footwear – this helps avoid undue pressure on the feet. Remember to wear socks and shoes when outside or travelling to protect the feet from environmental pollutants and accidental injuries. Trim the toenails regularly to prevent ingrown toenails. Remember to always keep the foot moisturized and clean to prevent skin dryness and scaling. Clean the foot, pat it dry with a clean towel and moisturize it with lotion. Diabetic Foot Care is a vital part of the treatment of Diabetes and proper care is advised to prevent serious complications.